Below is a sampling of grants awarded in 2014. Additional grantmaking activities may be reflected on the foundation's form 990-PF. 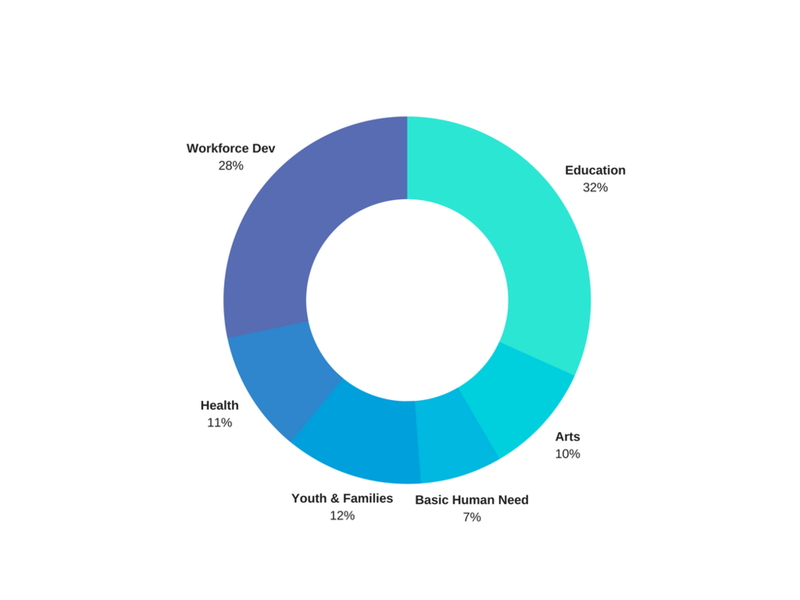 This list, however, is representative of the grants approved by the board as a whole (exclusive of discretionary gifts) and is an accurate representation of our grantmaking priorities for 2014. Bouncing Bulldogs, Inc. (Chapel Hill, North Carolina) - $10,000, Community Complex Matching Grant: Bouncing Bulldogs is a Chapel Hill-Durham, North Carolina based not-for-profit organization dedicated to providing jump rope instruction and experiences to jump rope enthusiasts around the world. The Bouncing Bulldogs have been a model for producing youth ambassadors who are passionate about jump rope, physical activity, civic engagement and education for over two decades. Challengers Independent Living, Inc. (Baltimore County, Maryland) - $5,000, General Operating Support: Challengers Independent Living, Inc. is a non-profit organization dedicated to providing independent life-skills services to teens and young adults who are living in long-term foster care. Dyslexia Tutoring Program (Baltimore City) - $2,500, General Operating Support: The Dyslexia Tutoring Program teaches low-income children and adults with dyslexia or a language-based learning disability to read through a professional screening assessment and tutoring by volunteers trained in The Orton-Gillingham method of reading, writing, and spelling. Hampden Family Center (Baltimore City) - $10,000, Summer Enrichment Program: The mission of the Hampden Family Center is to enrich the lives of Hampden residents through education and professional support, and to encourage individual growth and community fellowship. The Family Center has served as a hub for community activities in Hampden for 22 years. The Summer Enrichment Camp provides engaging and exciting educational programming to community children in first through fifth grades. The Light House (Annapolis, Maryland) - $35,000, BEST Catering Van: Light House Bistro and B.E.S.T. Catering are self-sustaining and revenue generating social enterprises that support the ongoing workforce development and housing programs at The Light House. Located on the property of our former shelter at 202 West Street, The Light House Bistro is a 50-seat full-service restaurant that provides employment opportunities for over 40 of our workforce development graduates. Our 202 West Street property is also home to our B.E.S.T. Catering's advanced culinary catering kitchen. The Light House (Annapolis, Maryland) - $5,000, General Operating Support: The Light House is both a facility and a program. Their mission is to help rebuild lives with compassion by providing shelter and services to prevent homelessness and empower people as they transition toward employment, housing and self-sufficiency. 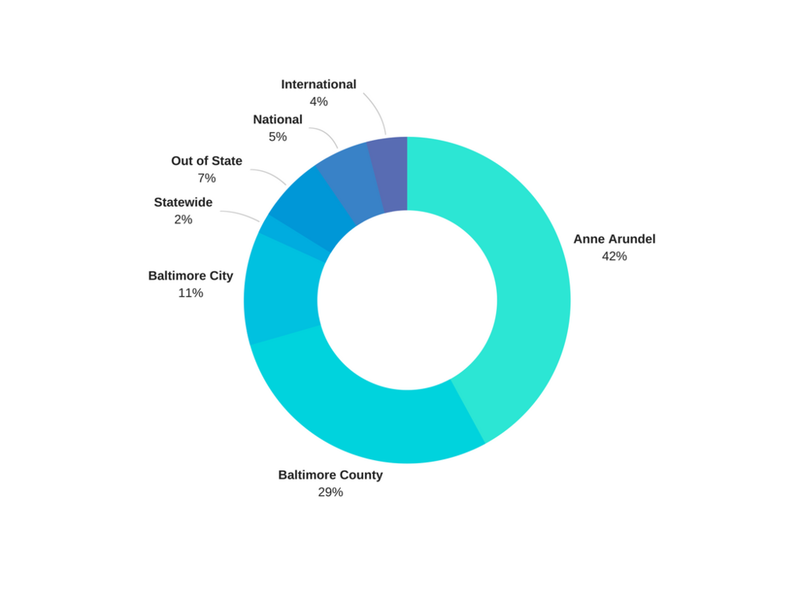 The Odyssey School (Baltimore County) - $90,750, Three-year Scholarship Support: The Odyssey School is a unique co-educational community designed to provide specialized academic programming for students with dyslexia and other language learning differences from age five through eighth grade. Scholarship support was used to support tuition and fees for students whose families could otherwise not afford these programs.